Product Includes - Jumpsuit with muscle torso and character hood. *Shield & Socks Not Included. Content - 100% Polyester (Exclusive Of Trim). Product Care - Hand Wash Cold Separately, Do Not Bleach, Line Dry, Cool Iron If Necessary, Do Not Dry Clean. 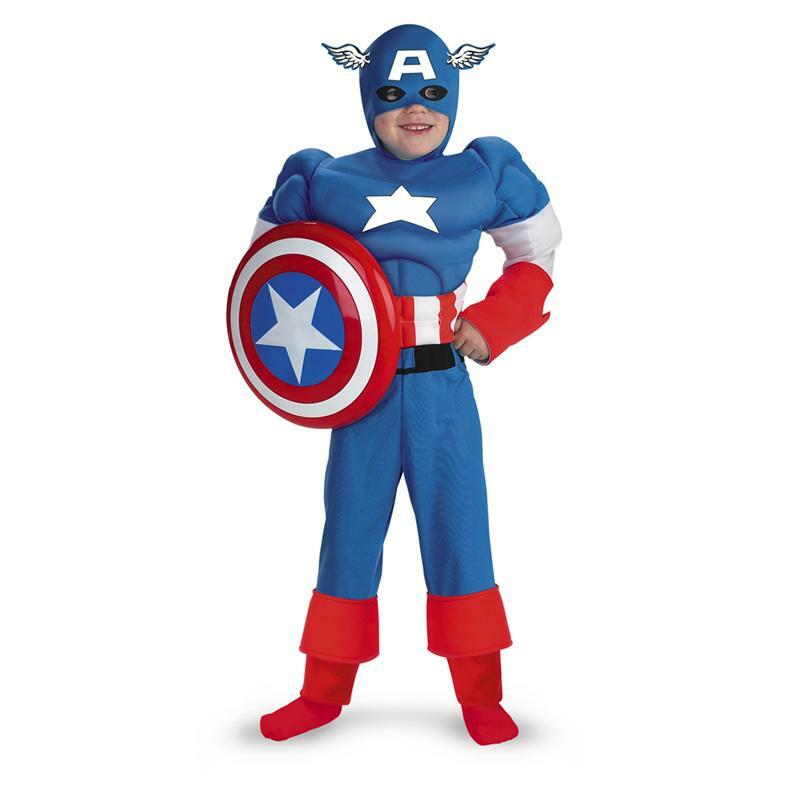 Become your favorite comic book character in this Captain America™ Classic Muscle costume featuring red, white and blue jumpsuit with muscle torso and character hood.